Planning a wedding is not easy. It can take a toll on your stress levels, as well as your bank account. But you don't have to go completely broke just to have a beautiful, fun and enjoyable day. The key is to decide ahead of time what you are and are not willing to negotiate on. 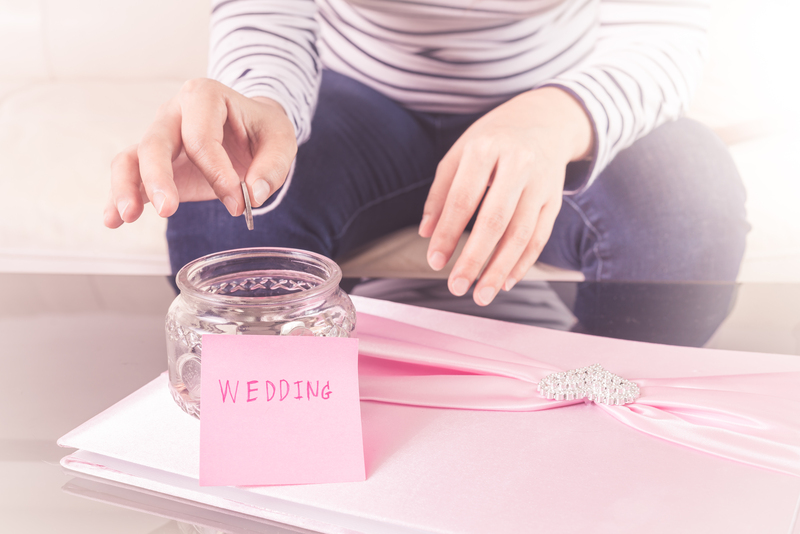 When it comes to spending money on your wedding, the options are limitless -- and unfortunately, they also can very quickly add up. But, rest assured, there are just as many options for saving money on your wedding as well. Below are some tips for doing so. Provided the schedule of you and your guests allow it, consider having your wedding on Friday or Sunday rather than Saturday, as this can reduce costs... sometimes as much as 50 percent. Also, try to find a venue that won't require you to use their vendors so you have more options for exploring different rates and pricing, or using friends of family who are willing to give you a discount. Before booking, know what will be included, such as tables, chairs, place settings, silverware, etc. If there are some things you will have to rent, such as extra tables, you want to know this as early as possible so you can factor it into your budget. Also, while shopping for venues, see whether or not they allow you to use your own catering service. Of course, in terms of costs, the fewer guests you have, the better. But if you are willing to forgo the sit-down meal, you can actually afford to invite more guests by having a more casual-style meal, such as a buffet. Eliminating the option of open bar can greatly reduce wedding costs, but if you don't want to make it a cash bar, you could limit the open bar to only an hour or two, or just for cocktail hour. Another option is having only wine and beer. This way you are giving your guests some free alcoholic beverages, without racking up a ridiculously high tab. Depending on the state laws, and vendor policies, you could also purchase the alcohol yourself, and hire someone to bartend for the night. You want the perfect dress to celebrate your big day, and you want it to be one that makes you feel beautiful. But don't think that you can't have a beautiful gown by only buying designer label or one that is brand new. If you are planning a wedding on a budget, be open-minded and know there are other options beyond the traditional bridal salons. Try bridal gown outlets, vintage/consignment shops, or online auctions. Keep in mind that these dresses have usually only be worn once, if at all, so most will be in perfect shape. Party favors are a nice touch, but this is definitely an area of your wedding planning that allows you to get creative in order to reduce costs. A money saving tip is to order customized centerpieces and arrangements that decorate the venue, such as mason jars or candles, and then let the guests take them home. It's a win-win: Your guests will get a cute and free home decor item, and you won't be burdened with figuring out what to do with 20+ mason jars at the end of the night. As for the people in your wedding party, you want to make them feel special and appreciated for all their hard work. Consider reducing costs without sacrificing any sentiment by using custom wine labels and other personalized tokens of appreciation in a gift bag. If there is anything you probably don't want to skimp, it's a professional photographer. Although there will be plenty of people taking photos and videos on their phones, you want high-quality, expertly done photos documenting this day, especially the moments your guests don't see, like you getting ready with your bridesmaids. A photobooth gives people souvenirs as well as something fun to do during the reception. While they tend to be upwards of $1,000, you can use ThumbTack to explore different companies in the area and get customized quotes. If you like the idea of a photobooth but can't bring yourself to shell out the money, you could set up a DIY booth with curtains/sheets against a blank wall, get cheap props and accessories, and either borrow or rent a camera. You could also just set up the booth and let people use their phones to take pictures in it. Some people want a wedding band, and this is usually the more expensive option. But if you are willing to forgo this and opt instead for a DJ you can also use sites like ThumbTack to find the best possible deals. Another (very) low-budget option is a WeddingDJ app ($7.99), which lets you make several playlists to be used throughout the ceremony, cocktail hours, reception, etc. When it comes to planning your wedding, keep in mind that there are plenty of people who will be more than happy to lend a helping hand, or family and friends who might know a florist, photographer, DJ, etc. looking for work. Don't be afraid to ask for help! At the end of the day, remember this is a celebration. It's not the amount of money you spend on your wedding that will make it memorable -- it will be the people you're with and the experience itself.